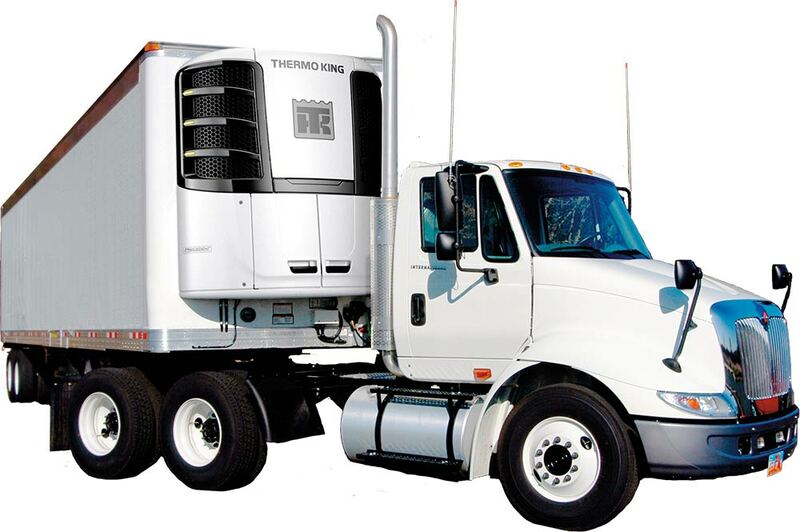 Thermo King Central Carolinas is an independent, regional dealer for Thermo King brand transport refrigeration units. We are a group of dedicated professionals whose goal it is to help you succeed. With our locations in Charlotte, Greensboro, Roanoke and Charleston, along with our mobile service trucks, we stand ready to assist any time, day or night. Sometimes you just can’t anticipate problems or opportunities. You may experience power outages, in-store refrigeration system failures, or seasonal swings in product demand – in any event, we’re here for you! We have different size trailers and door options available. Our job is to provide you with the refrigerated storage space you need so that you can go about the things that make your business successful. One call to our Rental Department will start the process. You can even plan ahead and book early! Keep your customers coming back to you through uninterrupted service. Whether your needs are big or small, long-term or short-term, diesel or electric, fresh produce or frozen – we have a solution for you. So when an unexpected outage leaves you without refrigeration or when your business growth or seasonal demand outpaces your facilities, Thermo King Central Carolinas Cold Storage Rentals is the solution. All of our technicians are factory-trained and certified. Our mobile service trucks are fully-functional “shops on wheels” with the tooling and parts inventory to keep your rental unit in peak operating condition. Our technicians are on call 24/7. A simple call to our main office is all it takes to get in touch with a qualified technician should you need one. Your customers are the most important component of your business. Make sure that they can be called “satisfied” in every situation – even if the unexpected happens to your refrigeration system. We’re here to help! In today’s economy, you need all the assurance you can get. We offer a cost-effective solution to emergency and seasonal cold-storage needs with the service to back it up. Relax: your product will be cool in no time! Thermo King Central Carolinas has four convenient locations: Charlotte, NC; Greensboro, NC; Roanoke, VA; & Charleston, WV. Mobile Service is our specialty. If you experience a problem with our unit, we will come to you and take care of it! We will deliver your trailer when you need it and we will pick it up when you’re done. We have a large number of late model with electric standby capability and optional TracKing monitoring. Our trailer will arrive on-time, fueled, clean and pre-cooled for your use! We offer rentals by the day, week, month or longer as your needs dictate. Cycle-Sentry provides for optimal cooling while economizing fuel. If your rental need calls for the ability to run the unit via electricity, we provide the cord. Each trailer includes simple operational instructions. Please fill out our Trailer Rental Form or Call Stephanie at 980-237-7588 for pricing and availability. For more information use the form below or call 704-596-2652.